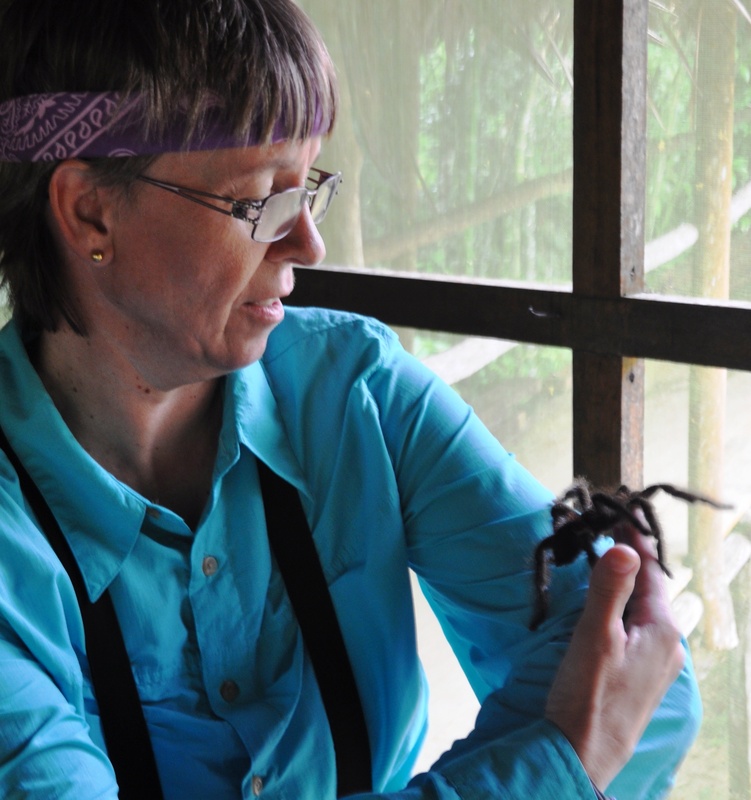 Dr. Mo is a dynamo and over the last two summers we’ve had the pleasure of spending time in the Amazon with her. Her passion for education is contagious! As an elementary and secondary science methods professor her energy and enthusiasm for developing the next generation of exceptional educators is evident in everything she does. 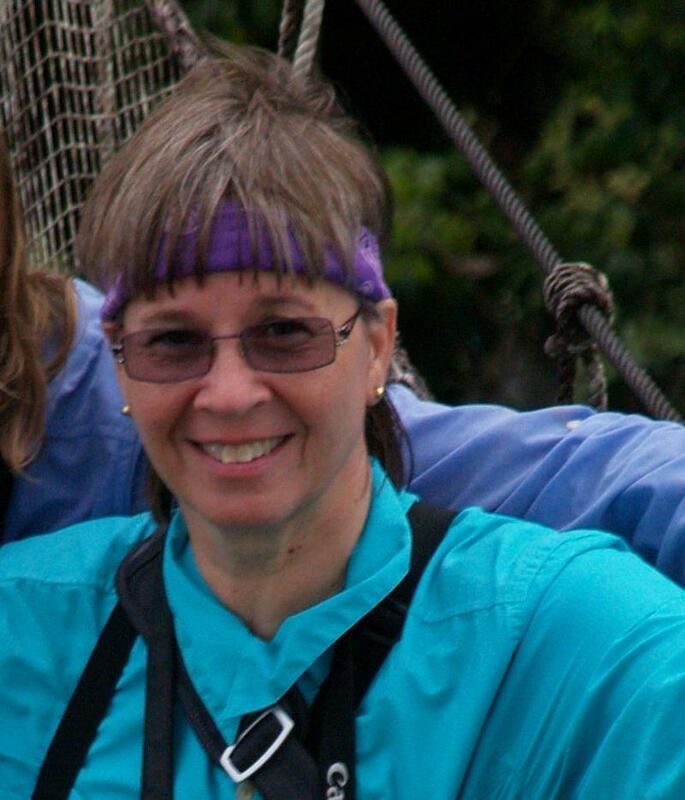 We are super excited that Mo will co-lead our 2013 Educator Academy in the Amazon! We asked Dr. Mo to share her thoughts on the magical interface of the Amazon, science education, and the facilitation of wonder. Mo, you’ve spent quite a bit of time in the Amazon over the last two summers. What is it about the Amazon that has captivated you and compels you to keep coming back? The Amazon is a magical place. My first visit took my breath away. I was then and still am awed and enlightened by its grandeur, beauty, and diversity. Few places on earth can rival the rich diversity, both cultural and ecological of the Amazon rainforest. It’s an outdoor classroom that will teach you about life, your place in the world, and about yourself. Next summer you are heading up our Educator Academy in the Amazon. As you prepare to lead that field experience, what is the one thing, the most important thing, you want participants to take from their time in the Amazon? The Amazon is at the heart of our planet and all life. What we do and how we live will impact all other earth systems. As educators and individuals we can make a difference! This quote reminds me of you, “…the role of (an) educator is subtle – not to just raise awareness, but to encourage perception and facilitate wonder.” (Mitchell Thomashow). As a “teacher of teachers” your job at ASU is to prepare the next generation of classroom teachers. How do help your students balance the demands of high stakes testing and the tidal wave of standards reform with their role as “facilitators of wonder”? High stakes testing will always contribute challenges to teaching and learning. The variables that contribute to these challenges are many. However, the standards that inform the development of high stakes tests emphasize questioning, problem solving, inquiry, and applying those skills to science content via real world applications. My goal with students, of all ages and in all settings, is to stimulate and facilitate their own sense of wonder and curiosity by offering them many opportunities to question, explore, and take risks. I help my students develop a sense wonder through inquiry-based discovery activities and then they practice demonstrating their own learning – a model that is transferable to the classroom. I actively model this strategy by sharing my own joy and enthusiasm for learning, stimulating the students’ natural curiosity and making the connections between this innate characteristic to know and understand our world with demonstration what we think and comprehend. As a facilitator, one of the ways I model my own sense of wonder is through what I call “Think Alouds”. My Think Alouds consist of my posing questions, demonstrating my own thought processes, and revealing my own sense of wonder. A sense of wonder leads to exploration which opens the door to discovery and ultimately the construction of knowledge. Through this construction of knowledge, deep and lasting understanding is attained. That, I believe should be the goal of all standards-based education and testing! Well said Dr. Mo, well said! Can’t wait to join you in the Amazon next summer during the 2013 Educator Academy in the Amazon! I am always curious and hope to instill that same trait in my students. I like to use a philosophy that Project Learning Tree teaches…”Teach students HOW to think…not WHAT to think!” I want my students to understand that I don’t have all the answers…and may never have all the answers…Life is a learning journey that we are all on regardless of our age. I believe in lifelong learning and want my students to see me as a learner and facilitator of their learning…not one who gives out knowledge…we are all in it together. I spark curiosity in my students by bringing in samples, critters, and real world examples of things they can explore. i also pose questions and let them discover how to answer them. There are many ways to solve a problem and my goal is for students to see that by discovering solutions they develop for the problems. I also like to take student inventories at the beginning of the year in an effort to discover more about the children in my class. This background knowledge allows me to tailor my lessons to increase student participation because it is something near and dear to their hearts. One of my favorite teacher appreciation treats this past week was a note written by one of my students…She said, “Mrs. Richardson, I appreciate all the things you’ve taught me this year. You like to make us curious about what we’re going to learn the next day. You also show us how much fun science can be and how excited you are about learning.” This note meant so much to me because it meant that I succeeded in reaching my goal with this student. My hope in this Academy is that I can bring back my excitement for the Amazon and share it with my students in a way that makes them feel they have visited it with me. I look forward to learning from the many outstanding educators in this group on additional ways to inspire my students to learn about the world around them! Please excuse my “dionsaurisness” but this is the first time I have entered into this 21st century realm. I am not a user of Facebook or Twitter and I do not text unless I absolutly have to. This thing doesn’t even let me click SpellCheck which has me sweating bullets! I think the above three sentences give you a bit of an idea of how far I am stepping out of MY comfort zone! I am a teacher who retired too early and still has a desire to learn and explore new horizons. I am 64 years young and am very much looking forward to the Eco-Teach Amazon experience. Currently, I am working for a local living museum in the town I reside in, Billings, MT. Though the position is more recruiting of new volunteers than the teaching of the importance of history and the interaction of cultures, I feel strongly that the past must be preserved, and its legicy passed on. I see the importance of the rainforest ecosystem as an intricate piece of the puzzle in the passing of the baton in relation to the balance necessary to the Earth’s survival. Everything on the Earth is connected. Whatever action we engage in impacts people, places and things in our immidate surroundings, as well as has rippling effects around the world. I tend to be more people connected, but I also see the importance of taking the time to become more aware of the interconnectedness we as people have with our physical surroundings. The fact we will be studing under 5 very vibrant, up-to-date teacher/scientists makes me very excited (and humbled) to be able to participate in this year’s workshop. How I facilitate wonder in your classroom: Well since I am now an educator at a zoo I feel that I do this by 1) being personally enthusiastic about learning new things & sharing them with my staff and our docents 2) developing and creating engaging interpretive graphics for our nearly 1 million visitors and 3) after gaining much training and certification in the art of interpretation, we switched all classes from cognitive to affective goals as our outcome. LOVE INTERPRETATION!!! …..in MY personal life: I am innately a life-long learning and curious. But I think I facilitate/nurture it by slowing down & really taking the time to observe, reflect and just “be” in the moment — whether it’s in my yard, walking my dogs at a nature trail or through my travels. What inspires me to question, explore, and take risks: Probably my parents and family. Both my parents (& grandparents too) were educators who instilled a “can-do” attitude into all 5 of their siblings. However as we’ve grown up most of my siblings lost that desire to do and think. When we get together (which is often because we all live w/in 10 minutes of each other) I feel quite sad for them because they seem to have opposite values and seem to simply go through the motions of living. This is so inspiring! I love the term “Think Alouds”. It is one of my favorite things to do in the classroom. It is amazing to have these discussions in the classroom because everyone can have a different question. Sharing those questions inspire more questioning and exploration opportunities. I can’t wait to see all the inspiring aspects of the Rainforest and share those with my students! “Think-Alouds” really echo the thought that as educators we really aren’t supposed to be “teachers” but rather learning facilitators. I always mention to my parents on back to school night that I am not going to teach science…with a pause that is followed by my line that I’m really in school to help kids learn how to learn. I really have become dismayed in the last several years because I feel as if each incoming group of 5th Graders is not quite as savvy or motivated to learn as the previous generation. Sigh…my only wish is to somehow nurture a sense of awe and wonder in them. I grew up with a teacher-father who always enrolled in some sort of college course every semester or attended summer workshop programs or training. The whole family “tagged along” on his summer excursions – and after his classes we ended touring some state forest, natural wonder, brew pub, hydroelectric dam, or historic monument or battlefield. Those summer trips – and growing up on and around the family farm on the fringe of the southern New Jersey Pine Barrens – piqued my wanderlust and inquiring mind. I have continued to travel…quite frankly need to travel every few years to recharge my batteries and bring new ideas, thoughts, worlds, and cultures back to my students. I believe that we must remain life-long learners – and this Amazon Expedition will provide me with the opportunity to satisfy my natural curiosity and wanderlust. Bring on the Amazon…can’t wait to be a part of this great trip. I am a retired teacher, but my learning is not done. My personal mission statement includes being a continuous learner (for the rest of my life). I LOVE educational tours and my sense of wonder has never stopped. Think Aloud? I think I have always done this…… I think my students may have thought I was a bit on the crazy side. I was a music teacher for 33 years and have written songs (one published!) to help teachers enhance their lessons. Perhaps one about the Amazon is next? I live on a beautiful lake in Western New York and and am hoping that I can bring new ideas back to help sustain the health of our lake. I am very excited about being on this trip with top notch educators! I like the idea of Dr. Mo’s Think Alouds. I love to express my own sense of wonder in the world around us to my students. During discussions, I often challenge them to explain their thinking when answering questions. However, I never thought to model my own thought processes for them. I am looking forward to seeing Dr. Mo demonstrate her techniques to us!